Before Brie Larson was announced as Carol Danvers in Captain Marvel, many a popular blonde-haired actress threw their proverbial hat into the right, hoping to play the character. Now that Captain Marvel is no longer an option, one of those campaigning for the superhero has turned sides, and wants to be let in on the DCEU. 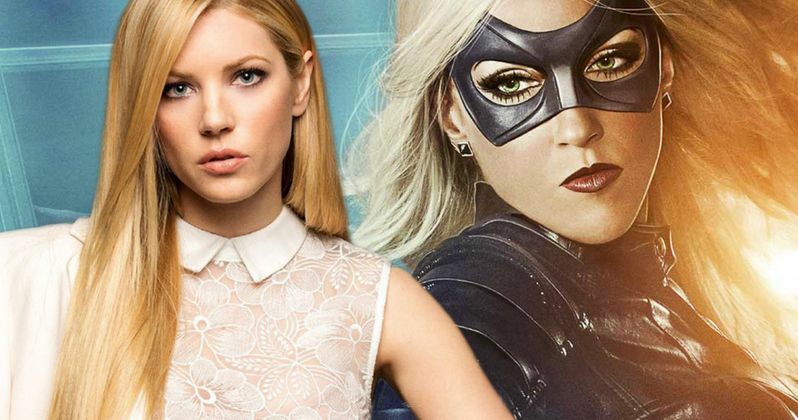 Yes, Katheryn Winnick has her sights set on Black Canary. Though, where Black Canary might first show up on the big screen is anybody's guess. But the best guess would be in the planned Harley Quinn and the Birds of Prey movie starring Margot Robbie. The DC big screen universe is expanding at an expedient rate, and there will be a lot of room to introduce new characters over the next couple of years. Black Canary has already appeared alongside Arrow in that CW series. But there hasn't been any crossover between the DCEU and the small screen side of things. So this is one character that will definitely be recast. And Katheryn Winnick may not be such a bad way to go. Having played Lagertha on Vikings for the past couple of years, she certainly has what it takes to pull on some tights and fight bad guys like Deathstroke and The Joker. Asked if she would want to play Black Canary in a Green Arrow movie, the actress didn't hesitate with her Twitter response. At this juncture, a Green Arrow movie is completely out of the question, mostly because Stephen Amell owns that character. Of course, that hasn't stopped DC Films from casting Ezra Miller in his own standalone Flash movie despite fans loving Grant Gustin as Barry Allen on a weekly basis. And there's a new Superman on the small screen as well, so nothing is outside the realm of possibility. And with DC Films and Warner Bros. forever changing their minds about what comes next, there is the slimiest chance that a Green Arrow movie could be announced before 2020. But seriously, don't look for that to happen. That said, the Birds of Prey movie is in the scripting phase as we speak. And Winnick's desire to play Black Canary shouldn't be so easily discarded. There have also been some rumors that Black Canary might show up for a cameo in the already overstuffed Justice League, in an attempt to help set up Harley Quinn's solo movie. Batman V Superman received a lot of fan backlash for introducing too many characters all at once, and overcompensating when it came to universe building. Most of the time, actors vying for various characters doesn't usually pan out. We've yet to hear Tyrese Gibson announced for Green Lantern Corps., though he has tried to make his voice heard. Then you have someone like Donald Glover. Sure, he didn't to play Miles Morales in a Spider-Man reboot, but he is going to be in Homecoming. And he gets to play Lando Calrissean in the Han Solo movie as a consolation prize. We'll have to wait and see if this pans out for the Vikings actress.